We know that as a landlord or property manager, you need background check results delivered as soon as possible. To help speed up your decision process, the American Apartment Owners Association now offers instant tenant credit checks to all members. Free, Basic, or Value member have access to this time-saving benefit. All it takes are a few simple steps to get you approved and you’ll no longer have to wait for the tenant to provide an email verification before a credit report is produced. This is especially useful if you’re running a background check on a tenant that doesn’t have an email address or access to a computer. 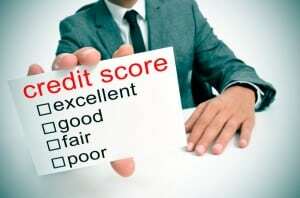 The process for approval is known as underwriting and is required by credit bureaus to get access to instant credit. It only takes about 3 business days to get approved by the credit bureau and then you can start ordering on-demand credit reports. Required documents vary depending on whether you are a landlord, private company, or broker. In most cases these are documents you already have access to such as your driver’s license and rental agreements. View requirements here. Once your documents are approved, we’ll have a credit bureau approved representative make a quick inspection of your office. Inspections can be made at a residential or commercial office and on average take 15 minutes to complete. Inspectors check to see that you have a locked filing cabinet, paper shredder, and secure location. The inspection fee is $59. Annual inspections are required for residential locations, but commercial locations only require a one-time inspection. Once your required documents and inspection are complete, we’ll give you access to instant credit reports. To get started, log in to your account at www.AAOA.com and click “Tenant Screening”. Then scroll to the bottom and click on the button “Learn More About Underwriting”. If you’re planning to order two or more reports, we highly recommend joining AAOA as a Value Member. Value Membership includes two free tenant screening packages plus $10 off every additional tenant screening package. You don’t have to be a Value Member to request access to instant credit reports, but it is worth considering if you’re going to be purchasing multiple reports.